The most popular article on this site is something I wrote way back in 2004. It has been on every iteration of my site since I bought my own domain. But these five loops do not appear to be enough based on the inquiries I get. Through emails, messaging on various social media platforms and online forums, I often get asked for alternates route ideas. Though it is not overly difficult to figure out backpacking loops, many people aren’t as comfortable looking at map, putting together a route and hiking the loop put together that was planned the weekend. In that spirit, I offer five more backpacking loops in the Denver-Boulder area that may be of interest to some. As before, these are not off-trail routes. 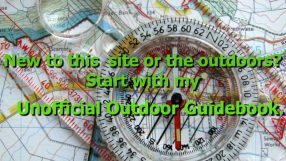 I do not feel comfortable giving off-trail information in detail without knowing a person’s outdoor skills. And these are not specific instructions. But for the person with basic map reading skills and can read the information I linked, the loops are obvious. I’ve given more specific informational links where appropriate. This five loops should provide a few weekends of enjoyment for any person interested in exploring Colorado. Please note, these elevation gain figures and distances were based on mapping software or other resources. GPS units tend to be off and add mileage. Consumer grade GPS and GPS enabled phones are reasonably accurate for pinpointing location but are not accurate for measuring distance. Permit: None. Please sign the register at the trailhead. The Buffalo Peaks Wilderness is a gentle area with rounded mountains, flowing creeks, wide meadows. Features that makes for some pleasant hiking. Parts of the area reminded me more of Maine than Colorado. A classic loop is the Rich Creek and Rough & Tumble Loop trails. At only twelve miles, perfect for an easy overnighter or a beginners backpacking trip. Naturally, longer loops can be done in this area. For a person who can read a map effectively, off-trail options are available too. Post trip: The town of Fairplay, CO is very close by and is allegedly the inspiration for the TV show South Park, In Fairplay, The Brown Burro Cafe is nothing fancy but does make a good and solid breakfast. Sit on patio, sip a cup of coffee and relax. A classic loop in the Indian Peaks Wilderness. 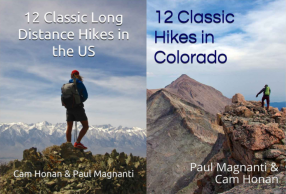 A popular day hike for those who want a challenge or a perfect length for an overnight trip for most. Alpine lakes are seen, high passes on the Continental Divide are crossed and the scenery is exquisite. You even get to be on a famous National Scenic Trail for a bit. At the peak of fall, the views are esp wonderful. Note: The Hessie trailhead area gets very busy. You can take a *free* shuttle bus on Sat, Sun and some holidays in the nearby town Nederland to the trailhead area. Much better than trying to find a parking spot, in my opinion, in this busy area. The hours are convenient for most people hiking this loop. Leashed dogs allowed on this bus, too. Post trip: Backcountry Pizza in the nearby town of “Ned” has a great beer menu and tasty pizza. The Nediterranean (Greek style) pizza is my favorite. I’ve long enjoyed the Lost Creek Wilderness (LCW). The LCW is not dramatic or astounding. It is just beautiful. With odds and ends to delight for the person who enjoys the subtle pleasures of the outdoor world. Views over red rock speckled tundra, wildflowers in bloom and dazzling aspen in the fall. This particular backpacking trip is conveniently located near the town of Bailey, CO. A short drive for Denver metro area folks. And highway 285, though getting busy, is not nearly as busy as I70. The loop features wide open meadows, aspen groves and some rolling terrain that adds up with some considerable elevation gain and loss. 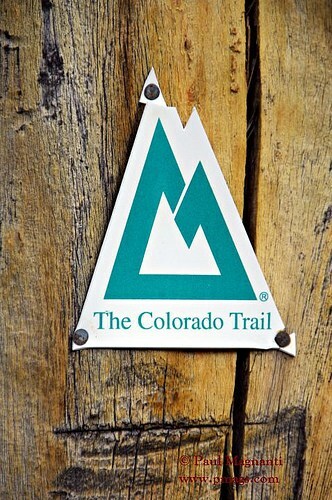 The loop starts at the parking lot where the Rolling Creek trail and The Colorado Trail meet. As a tip, the actual trailhead is on the short jeep road spur from the main road. The Colorado Trail crosses on Wellington Road. Turn and drive less than a quarter of a mile to get to the actual Rolling Creek trailhead. Otherwise park here and walk up the road. The trail loop follows the Rolling Creek Trail to the Wigwam Trail to Lost Park and then onto the Colorado Trail itself to head back. I like this way as you get the steep climb out-of-the-way on the Rolling Creek Trail. Good to pause on the climbs and enjoy the views! Wigwam Park is rather pleasant with many suitable camp sites abounding. After the Lost Park area, hook on The Colorado Trail. Enjoy the aspens and wildflowers. You will then be heading back to the car to complete this loop. Post Trip – Finishing in time for breakfast? The Cutthroat Cafe’ in Bailey, CO is a very good breakfast place, reasonable in price and only minutes away from the trail head. The chicken fried steak is quite tasty! Ending later in the day? The Riverbend Taproom and Eatery, at the outskirts of Bailey, has received favorable reviews. Another classic backpacking loop in the Indians Peaks Wilderness (IPW). Somewhat less used than the other well-known loop in the IPW. A bit easier than the other IPW loop as there is slightly less mileage and noticeably less elevation gain. But just as scenic and memorable. High passes, lakes and wildflowers. This route is nice in the earlier summer as alpine lilies are often spotted! Memorable sunsets are to be had looking west from near the Continental Divide. The route follows the CDT for a bit as well. Before heading back to complete the loop, the popular Diamond Lake will be encountered. A good place to pause and enjoy some last looks before heading back to the car. 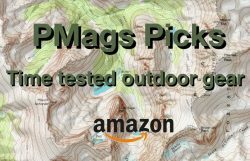 A worthy option for those who want a good loop in the Indian Peaks Wilderness. Note: The Fourth of July trailhead, where this route starts, is VERY busy. Get there early. Or go on a weekday. The approach road is a little rough but can be done by a passenger car that going slowly and with a patient driver. Post Trip: Go to Backcountry Pizza mentioned above. Or try something different and go to the Kathmandu restaurant in “Ned”. Get there before 3 PM? The AYCE buffet is quite yummy. Permit: Self signed at trail head. Other: An older, but accurate, loop description may be found here. One of the first backpacking loops I’ve done in Colorado and a very enjoyable one. I saw my first mountain goats here and marveled at the craggy peaks that make up the Eagles Nest Wilderness. Old photo from an old trip to the summit of Mt. Meridian. I’ve done this loop since that time but still marvel every time I’ve done it. The Eagles Nest Wilderness is also where I’ve done quite a few off-trail jaunts. The lack of 14ers means that this area, other than lakes near the trailheads, is not as heavily used as other wilderness areas in Colorado. The trail starts and ends in wooded terrain and goes by some pleasant lakes. The route eventually reaches Elliot Ridge where the majority of the elevation gain is made for the trip. Just below the ridge. The top of the ridge is an old jeep track that serves as the trail. Be sure to tag Meridian Peak. A gentle summit with astounding views. Very good chance you’ll see mountain goats here. I have every time I’ve been on this summit! Well worth the short and easy, out-and-back hike of approx two miles round trip. The ridge walk itself is quite splendid. Meridian is the highpoint on the ridge above. You’ll leave the ridge via an old jeep road. Pay attention to navigation. Eventually, you’ll leave the old FS roads behind and end up on single track and hike back to the car. Post Trip – Near Silverthorne is the Dam Brewery. Located in the nearby town of Dillon, it features good craft beer and pub grub. Very cool. I am doing a quick overnight trip in the State Forest up to Kelly Lake to support a running race and these pictures make me even more excited. The problem is that GPS is actually TOO accurate (at least if it keeps reading high after applying an appropriately scaled noise filter). It’s the same problem as when you get a longer distance measuring the trail with a wheel than you do with a tape. Distance in the natural environment is scale-dependent, and keeps on getting longer when you measure it more accurately. Paradoxically, it often does NOT approach a limit when you measure it at a progressively finer scale. L.F.Richardson first noted this “coastline paradox” when he noticed that the Portuguese reported their measured border with Spain to be 987 km, but the Spanish reported it as 1214 km. Thank you so much for the info. You’re helping me decide which trails to take for a last-minute trip in early August. How many days/nights do you recommend setting aside for Cataract Lake and Elliot Ridge Loop? I did the loop in a day once. 😉 All depends on the person and their navigation skills. Call it 2.5 days for the average backpacker.